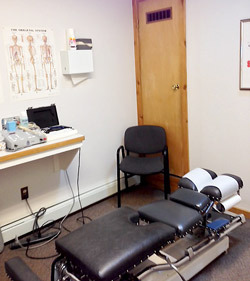 Our friendly staff will warmly welcome you to Kalkowski Chiropractic Center. 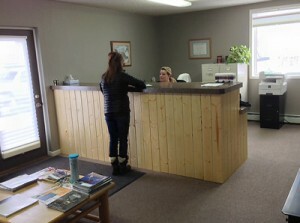 When you first enter Kalkowski Chiropractic Center you will be greeted by either Judy or Donna. Our goal is to make everyone feel an instant warmth and friendliness. On this visit, be prepared to discuss your health history and details of current complaint/condition, financial responsibility, and basic personal information. Please plan on about one full hour for this first visit. Once you have been welcomed into our office, you will be given some paperwork to fill out and our office financial policies will be discussed. Once the paperwork concerning your health history and chief complaint is filled out, you will be taken into a treatment room. At this point Dr. Kalkowski will introduce himself and discuss the information from your paperwork. He will ask any additional questions that may be relevant to you and your case. Dr. Kalkowski will also ask you if you have any questions at this time. “I will proceed to perform a neurologic and orthopedic exam relevant to the chief complaint and anything warranted from the health history. Depending on the findings, I may recommend treatment in this office, imaging studies, consult or referral to another type of health care professional, etc.” states Dr. Kalkowski. After treatment, you and the doctor will discuss an appropriate treatment plan and you will be given an opportunity to ask any further questions. You will then be lead to the front desk and Judy or Donna will collect our fee, give you a HICFA form that is filled out and ready to send to your insurance company, and schedule you for a follow up appointment.